Browse our collection of 1 Best Selling Boxing Greeting Cards and more. Designed and printed in the USA. 100% Satisfaction Guaranteed. 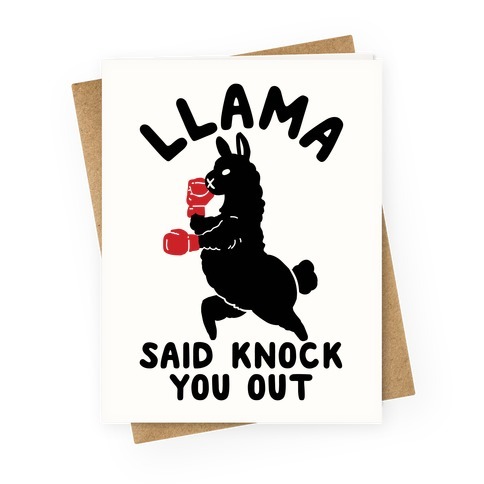 About this Design I'm gonna knock you out, Llama said knock you out! Show your love for 1990s hip-hop with this song parody llama design. I'm gonna knock you out, Llama said knock you out! Show your love for 1990s hip-hop with this song parody llama design.